I posted it on our page and to my surprise it was shared a eighty-eight times. I went back to the article for a closer look. It seems more people are interested in Vampire Studies than I had anticipated. Since academic vampirology classes seem to be a dime a dozen, I wanted to know more about this Vampire Degree program. Was this class legit and was it actually a masters? The concept of a masters in vampire studies intrigued me because that is the be all end all of academic achievement; the highest you can go. I have come across random one off courses through my internet travels, but nothing this prestigious. I wanted to know more. The hyperlink embedded in “organized a conference” revealed the conference’s name: “Open Graves, Open Minds: Vampires and the Undead in Modern Culture.” The conference interested me because Vamped is involved with an upcoming vampire symposium (“Vampire Studies Symposium to Be Held in Texas on Halloween,” June 10, 2015), too. But first, let’s take a look at this viral educational gem. This programme is intended to look at the representation of particular cultural issues across a range of texts. You will be asked to consider the representation of a particular topic or concept in a range of texts across time and to ask how these representations respond to each other and to the changing political and social circumstances for the text. You will also be asked to consider how a range of texts from a short historical period respond differently to a shared set of historical circumstances. Modules ask you to engage with the major contemporary theoretical and critical issues in modern literary studies. I came across the conference schedule for Open Graves, Open Minds: Bram Stoker Centenary Symposium from 2010. In the article I found it linked to, it said that the University of Hertforshire was launching a vampire masters program. Is this still offered to at your school? I wanted to find out more information about it for an article I am writing. I was referred to you by Anna and she suggested I follow up with you. I came across the conference schedule for Open Graves, Open Minds: Bram Stoker Centenary Symposium from 2010. In the article I found it linking to, it said that the University of Hertforshire was launching a vampire masters program. She then mentioned that you run a research centre on vampire studies. Would you be able to tell me more about your research centre? Is the school still teaching any vampire related courses? I am currently writing an article for our website Vamped.org so any information you could help me with would be great. Also do you mind if I quote you in my article? As it turns out the original article was mistaken. In fact, there is no Vampire Degree offered, just a MA module worth 30 of the 180 credits needed for the literature program. The course is called “Vampire: Science, Sexuality and Alterity in Modern Culture” and the required reading was edited by Dr. Samantha George. The 2014 course outline is available on Academia.edu. But before you pack your bags and jump on a plane to England, be warned the student fees are £3,950. Vampirology don’t come cheap. You might be wondering, how much interest there is in vampires outside Edward Cullen and True Blood. To give you an idea, recently, program director and lecturer Sam George organized a conference of more than seventy academics from around the globe to seriously discuss and present papers on vampire literature. How seriously? Although it’s easy to snark on a plenary discussion entitled Gothic Charm School or How Vampires Learned to Sparkle, papers like “True Blood, Real Life: Religious Fundamentalism, Gay Rights, (Non) Violence and The American South” and “Romance and Female Knight Errantry in the Twilight Saga” could have some real bite. When I read their conference had more than seventy academics, my mind was officially blown. The large scale and variety of academic papers for their conferences totally inspires me—after all, the symposium Vamped is patroning only has five speakers, but who knows what direction Vamped will take our own symposium after this year? “what may be the world’s first master’s degree in Vampire Studies”: HowStuffWorks, “Dracula Degree: School Offers Master’s in Vampire Studies,” Divine Caroline, n.d., accessed June 2, 2015, http://www.divinecaroline.com/life-etc/career-money/dracula-degree-school-offers-master%E2%80%99s-vampire-studies. The article was originally published on HowStuffWorks, but is no longer active. 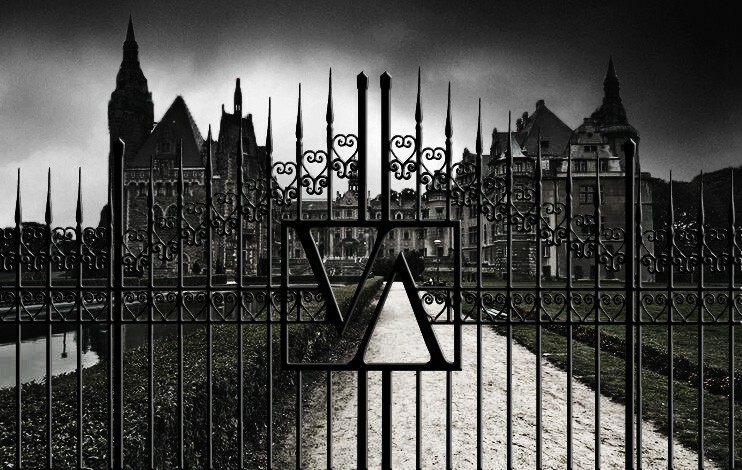 revealed the conference’s name: Cyriaque Lamar, “Earn Your Master’s Degree in Vampire Literature,” i09, April 6, 2010, accessed June 2, 2015, http://io9.com/5511030/earn-your-masters-degree-in-vampire-literature. the university’s Modern Literary Cultures page: “Modern Literary Cultures,” University of Herdfordshire, 2015, accessed June 2, 2015, http://www.herts.ac.uk/courses/modern-literary-cultures. available on Academia.edu: Sam George, “7HUM1011: Reading the Vampire: Science, Sexuality and Alterity in Modern Culture [Course Schedule],” Academia.edu, n.d., accessed June 15, 2015, https://www.academia.edu/8644676/Reading_the_Vampire_Science_Sexuality_and_Alterity_in_Modern_Culture_Weekly_Course_Schedule_2014. If you are looking for an online vampirology course to take check out “An Introduction to Vampires” or if you just want to check out what a vampirologist does check out an interview I conducted with Vamped’s own Anthony Hogg. If you’re interested in attending the upcoming vampire studies symposium this Halloween, register today!